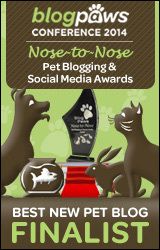 Disclaimer: Oh My Shih Tzu did not receive monetary compensation for this review. We did receive a complimentary product in exchange for our honest review. 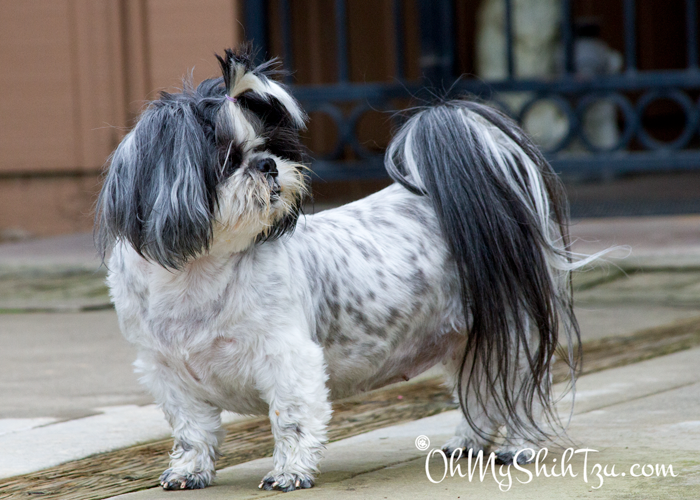 If you’ve been following us for a while then you know how we struggle with Shih Tzu weight loss with our girl Trixie, aka Chunk-a-monk. Last year she was able to drop 1.5 pounds, but we never hit the 12 pound mark. Since then she has gained a part of the weight back, something which I am not proud of. Luckily the good people at Fruitables sent me some samples of their Pumpkin & Oatmeal Superblend™ Weight Loss Supplement. Honestly the packaging on the tin caught my eye because of 2 little words, “Clinically Proven” in addition to the claim to “Lose up to 2% Per Week”. Now 2% is not a lot on a little 13.8 lb dog, or it doesn’t seem as a lot to me, but we are so excited. When it comes to “Clinically Proven”, you can read about the study here –> Scientific Support Document of Application for Weight Control. Simple. By reducing the total calories feed and adding a tasty nutrient-dense supplement of super fruits and vegetables it creates a feeling of fullness. 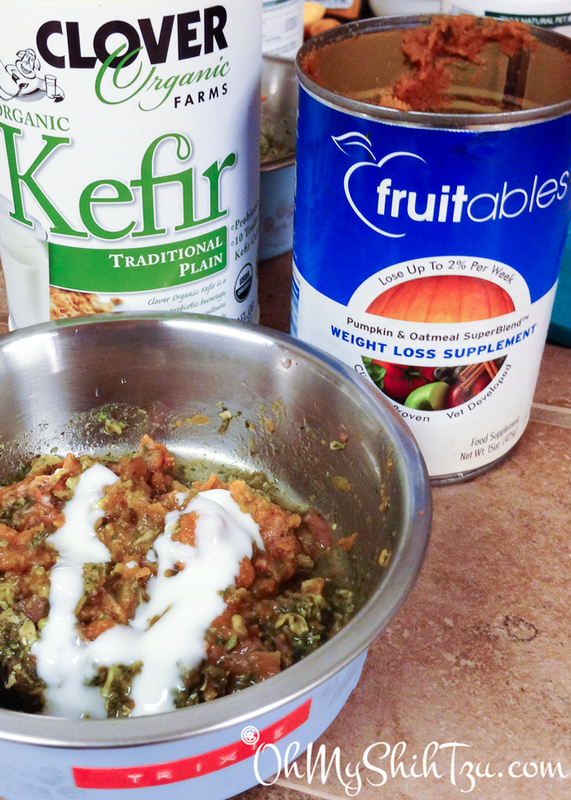 Per the instructions, the Weight Loss Supplement works with our pets existing diet. We just reduce the amount of food by 30% and replacing it with the supplement. Since I feed a raw diet to my dogs, I measure out everything with my trusted digital food scale. Trixie’s meal was reduced from 1.6oz /feeding to 1.12 oz/feeding, I also add 1/8 cup of THK base mix and kept that the same. I also kept her supplements the same. We did incorporate an exercise program for Trixie, 1 20-30 minute walk a day. Which for her was about a total of 6 blocks, 3 out and 3 back. 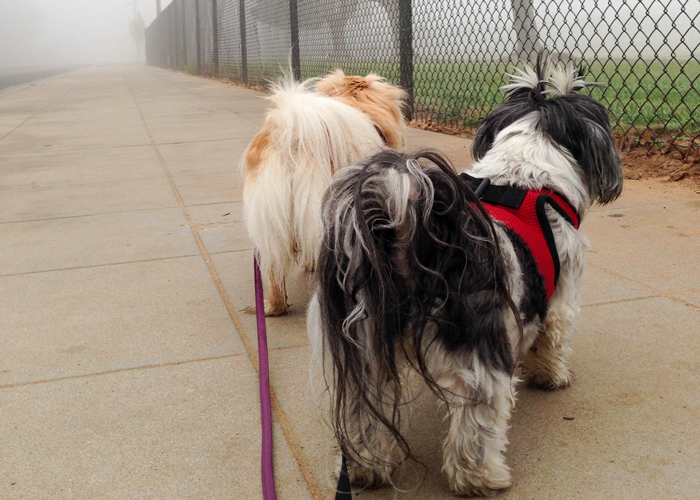 Trixie (front) & Chicky out on their morning walk. So after 1 week on my pseudo trial her weight loss was .8 lbs! I think this is a great loss especially for 1 week. The study that was conducted was based on a 6 week trial. Trixie’s normal daily activity was not changed, and no treats were given at this time. Though they recommend to have your pet seen by a veterinarian before beginning this program I did not. I have seen and talked with my vet in the past regarding her weight and overall state of health. Believe it or not, at one point my little girl was over 17 lbs. 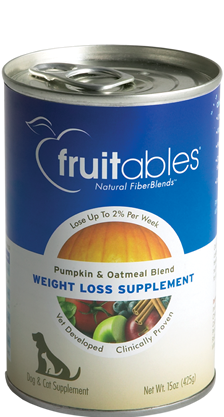 We feel that the Fruitables Weight Loss Supplement is a great addition for your pet if they are needing to lose weight. With over 40% of the pet population being overweight or obese as a guardian it is my responsibility to keep my Shih Tzu’s happy and healthy. Because we had such a great loss for her in the first week, the amount of food has been increased so as not for her to lose so quickly. I am proud of my little girl, but we also want to remain safe, healthy and happy. Disclaimer: We would like to thank Fruitables for providing Trixie with the Fruitables Weight Loss Supplement. There was no monetary compensation for this post. All opinions are that of Oh My Shih Tzu. We share information we feel is relevant and of importance to our readers. Fruitables is not responsible for the content of this article. We are excited to be joining FitDog Friday! Excellent job on the weight loss. We love Fruitables! Glad to hear the weight loss is working. It’s so important to keep your dog at a healthy weight – really improves their quality of life and life span! That’s wonderful. Keep up the good work, and please keep us updated on her progress! That’s great that you found a food to help out, but remember the exercise part is super important, not only for keeping a trim figure but for the heart and entire body health. Keep up the good work and thanks for joining the FitDog Friday hop! Gilligan recently posted…Over the River and Through the Woods – Epic Walk!